Paja Colorada is located in the tropical region of Ecuador, which has a number of bugs that can contaminate water sources. 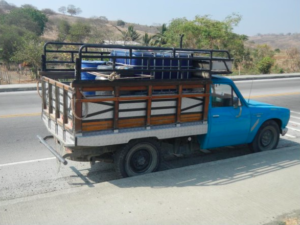 The women of the community stressed the difficulty obtaining and keeping clean water in their homes or nearby at a community meeting, sharing that the lack of access to natural water nearby means they must purchase water from a water tank truck pictured above. Storing the water is difficult and the women often face issues keeping enough water, and keeping what water the have contaminate-free. Engineers in Action will work to design and implement a water system that brings water to the community, which is centered closely together. With one water system an entire community will very easily be able to access clean, contaminate-free water. Click here to view the full Paja Colorada application. 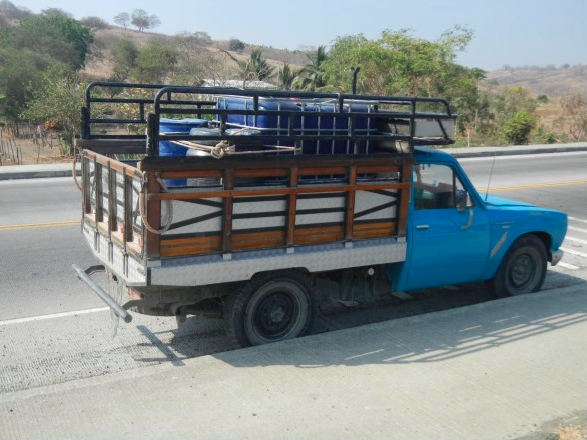 The University of Memphis’ student EWB chapter worked to provide access to potable water in Yarvacoya in 2014. Norwich professionals worked to provide electricity and water in Patapatani in 2010. The San Antonio EWB Professionals chapter worked to provide potable water access to Papachacra in 2012. 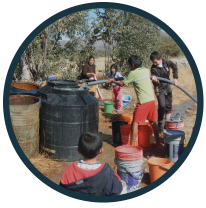 The University of Arizona’s student EWB chapter worked to provide water access in Mariquirivi in 2015. The University of Idaho’s student EWB chapter worked to install potable water systems in Chiwirapi in 2014. The University of Florida’s student EWB chapter worked to install irrigation systems and greenhouses in Cachitambo in 2013. 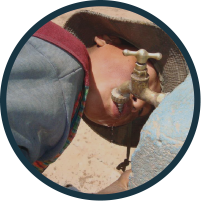 A potable water system was installed by the Germany-Dresden chapter of EWB professionals in Zamora in 2013.